Conflicts happen when a plugin or a theme load different versions of the same script on the same page. There are dozens of popular scripts that allow rich functionality in plugins and themes, for example jQuery. Unfortunately, poorly developed plugins and themes load their scripts on all pages in the admin, including MailPoet's. MailPoet itself never conflicts with other plugins. It's nearly always the other way around: another plugin or theme conflicts with MailPoet. A visitor cannot sign up to your form. Update all your plugins. Is there still a problem with MailPoet? Clear your site's cache, if you have this option. Is there still a problem with MailPoet? Ensure you have a backup of your website. Deactivating plugins doesn't lose your settings, but we cannot guarantee it. 2. Go to Dashboard > Health Check menu item. 3. Go to the Troubleshooting tab and click on the "Enable Troubleshooting Mode" button. 4. 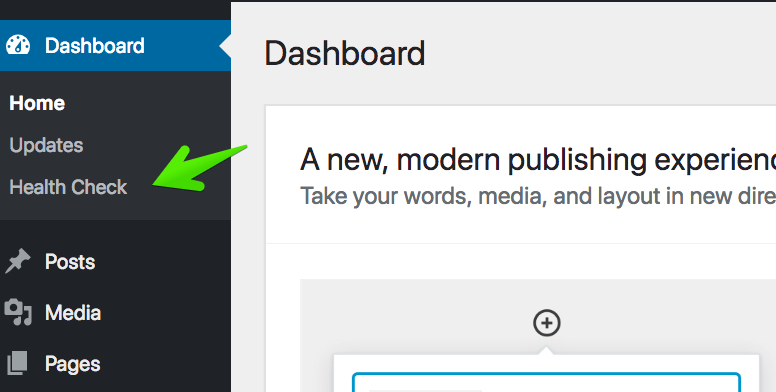 After activating this mode, you - and not your visitors - will see your website with all plugins disabled, and a default theme activated. This enables you to reactivate the plugins and/or theme one at a time to see when the problem returns. 5. 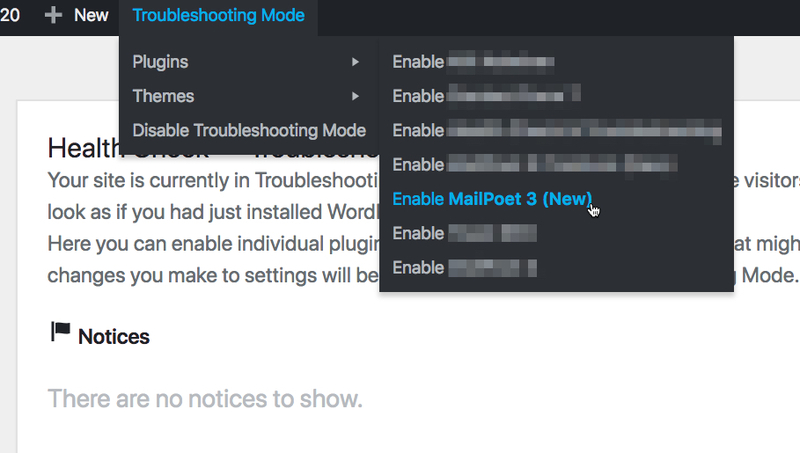 Enable MailPoet 3 (New) plugin in the Troubleshooting Mode first and try MailPoet to see if it works normally with all the other plugins disabled. 6. If MailPoet is still broken, contact us using the link in the top menu of this page or with the form available in the help icon at the bottom right of all your MailPoet pages (preferred). If MailPoet works normally, great! Continue to the next step. 7. 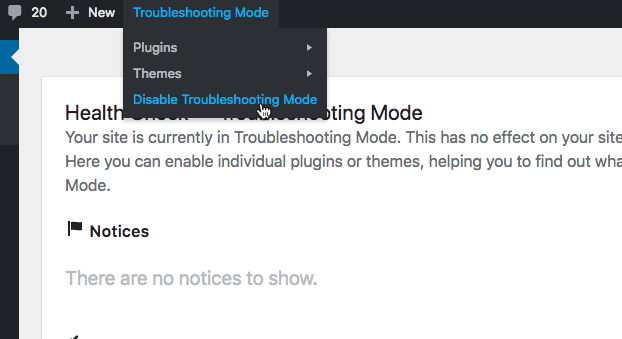 First enable your theme in the Troubleshooting Mode menu. Test to see if MailPoet works. If MailPoet and your theme don't conflict, enable your other plugins one after the other and test MailPoet each time to see which plugin breaks MailPoet. This step should help you identify which plugin or theme conflicts with MailPoet. Temporarily disable the plugin that conflicts with MailPoet, if it's affecting only one functionality, so you can re-enable it after doing the changes you need. Contact the author of the plugin or theme and let them know about the conflict.